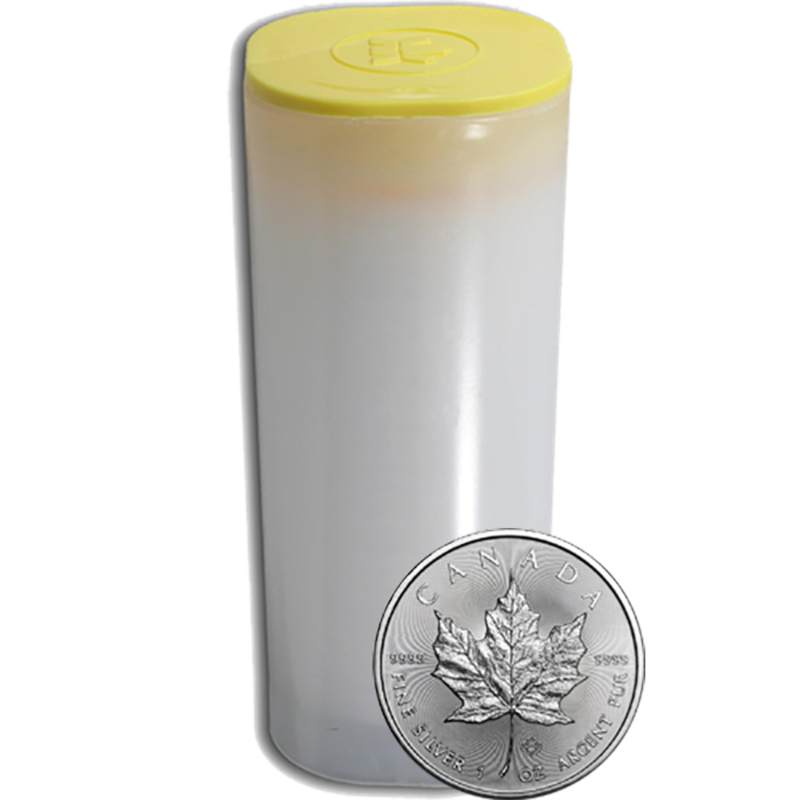 The Pre-Owned Canadian Maple 1oz Silver Coin Bundle contains 25 silver coins in an original mint tube. 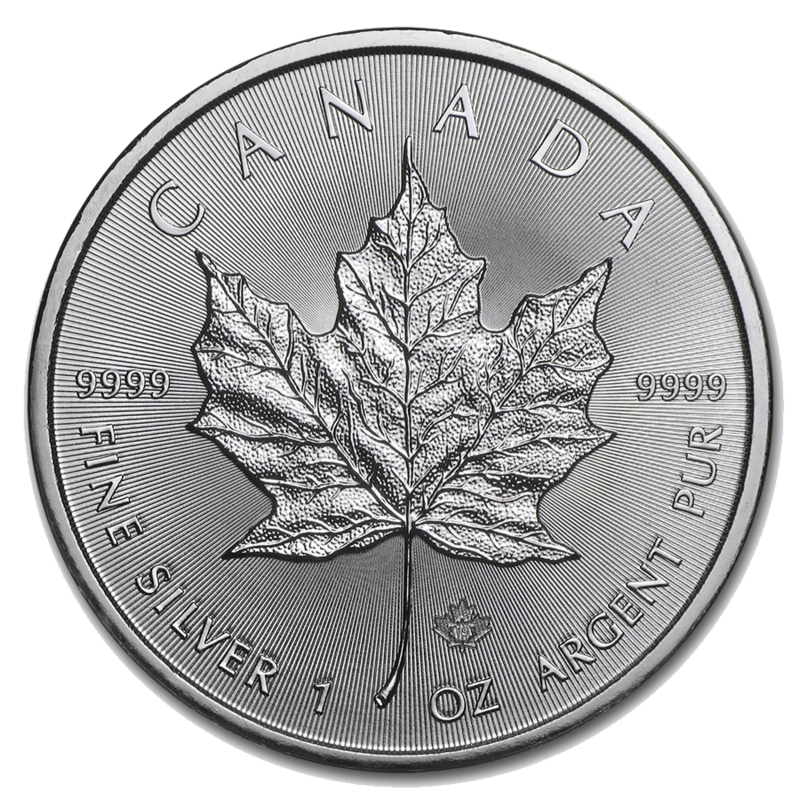 Inscribed upon the reverse of the Maple coin is 'CANADA'. 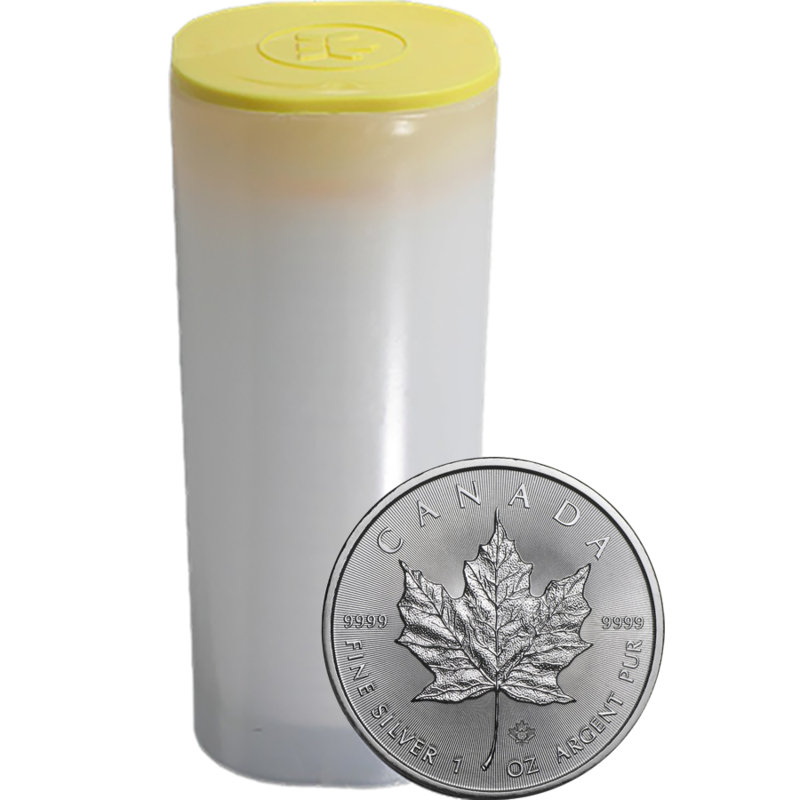 It features a beautiful Maple leaf design, along with details of the the weight and fineness. 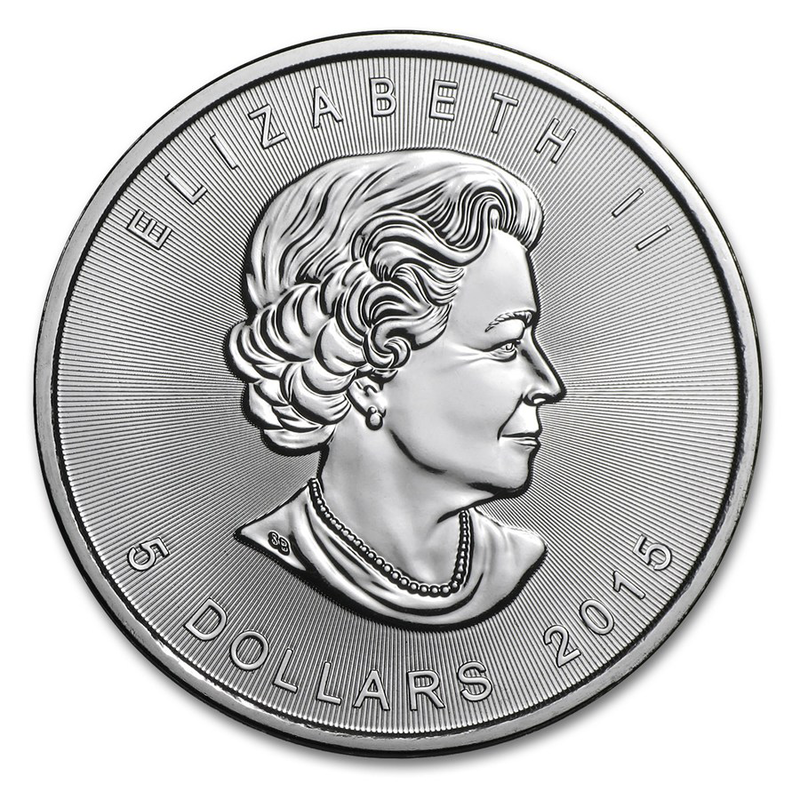 The obverse of the coin bears an effigy of Queen Elizabeth II, the year-date and the monetary denomination. 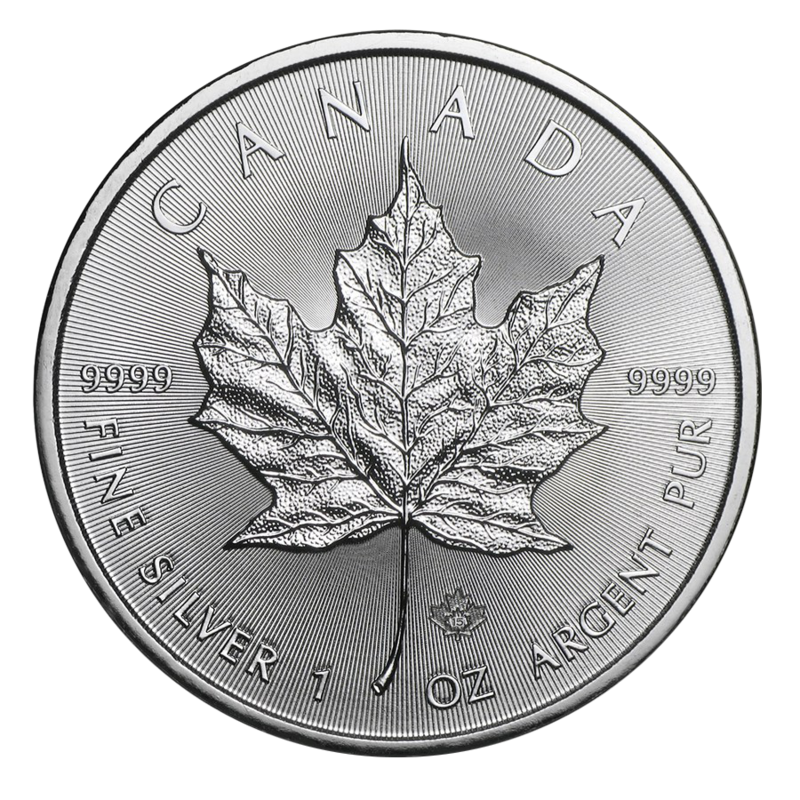 As from 2014, the background of the coin had radial lines, precisely machined by the Royal Canadian Mint onto their master die. 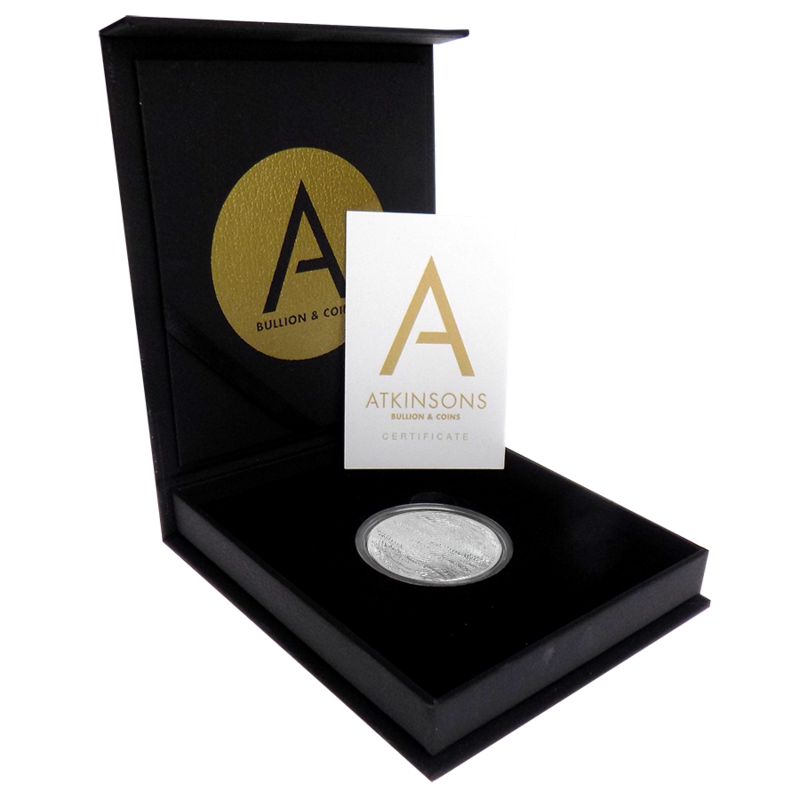 This creates a unique light diffracting pattern which has not been seen on other bullion coins.